I was fortunate to spend a couple of days last week in Brussels to attend the Digital Agenda Assembly and meet the other OpenIDEO web start-up challenge winners. The ten of us had only ever met in a virtual context on the OpenIDEO platform before this event but we had a really great time together (well, I know I did!). Luckily there was time to socialise as well as ‘work’ and we got to share stories from where we live (Ireland, New York, Austin, San Francisco, Istanbul and London were some of the cities represented). James Moyer’s travels so far…. This entry covers travel in Brussels and Amsterdam (and the bus trip in between the two.) I have had a fascination with Europe for a lot of my life, so many things didn’t necessarily surprise me, yet their reality was still so odd. *Speaking of restaurants, condiments are extra. I’m often hear about Europeans complaining that sales tax is added at the cash register for items purchased (which I can sympathize with) but then charging extra for condiments seems to be approximately as vile. Perhaps I just really like condiments. *Credit cards aren’t as accepted. Perhaps that’s just a Dutch thing, where they have created their own card based payment system…no, they were weird about credit cards in Brussels too. To be fair, this goes back and forth in America as well. Back in Columbus, credit cards are accepted everywhere, but I have found that stores in NYC are more selective. I was actually fascinated to find a store here in Amsterdam that didn’t even accept cash. *There aren’t as many fat people…but I feel like there aren’t as many thin people either. I expected there to be less fat people, but less thin people was a surprise. Maybe the Hostel I’m staying in is just full of well-fed, stocky Germans and Spaniards. *To go with those average sized people, elevators are unusually small to me (complete surprise.) Even in European Parliament buildings, which are nice, proper, modern office building the elevators are so small. It’s like they are encouraging people to use the stairs. And that can only be as vile as charging for condiments. *More logically to me, the base floor of a building is numbered zero, instead of one. I happen to really like the number line though. *I have encountered a lot of slow fluorescent lights. In the US we have started converting from regular bulbs to compact fluorescent bulbs, but one of the conditions was immediate startup. These older European bulbs are unsatisfactorily slow and I can only assume that Europeans enjoy the time in the dark for nefarious unholy purposes. *Cows in Belgium are huge. I kept looking at them trying to figure out if I were seeing ruminating Fiats or if these were real live cows. No! They are cows! OMG they are huge! *Dutch is like German but without German’s effervescent charm. This is awkward, but usually I charge to bewak in front of a camera. *Toilets. I have much to say about toilets. I’d like to begin with the fact that they use a cleaning chemical here that I swear smells like piss. I’m curious to see if that’s the case in the UK too. I also see a lot more dual flush toilets here (one button for a small amount of water, larger button for a bigger amount of water for better flushing action.) It’s rather fascinating to me as an armchair designer to see how different manufacturers set-up the two buttons. I would like to end by adding that I encountered a toilet in Amsterdam whose sole purpose was to convert the precious resources of water and noise into a gentle massage for the lucky toilet bowl contents. I’m surprised, yet not sure why, about the bottled water comments… I thought Europeans weren’t fans of bottled water but I clearly have an idealistic view on the matter. I have to disagree on it making sense that the ground floor starts on zero. I’ve never understood why we don’t calculate floors like the Americans do and start on number 1. I love the fact that James has commented on the size of the elevators in Brussels. They are always tiny. Why? I’m looking forward to the next installment of insights 😉 Thank you, James! Brilliant – These had me in stitches! Ground floors should always start at 0. Looking forward to more insights. Great to read about very familiar things and countries seen through someone else’s eyes. Great post, James. 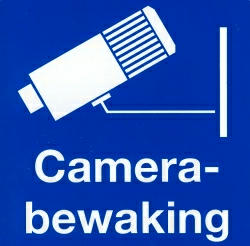 However, I don’t understand the joke about the ‘Camera-bewaking’. But, that might be because I’m Dutch :). As for the credit card thing: the ‘own card based system’ is a debit-card system. And payments with that are cheaper for the retailer, that is why it’s more accepted in the Netherlands. Plus, although credit cards are increasing in numbers, still most people only have debit-cards. The bottled water surprises me a bit. Even though I see it everywhere, tap water in Europe is safe to drink. Even though in some places it doesn’t taste well, but in the Netherlands it’s actually quite nice (and tested as higher quality than some natural source bottled waters). Loved reading this. Thanks James. And thanks Louise for getting James to post it here! Great to read the exploits and glad that everyone had a good time. Catch up with you all on the next few challenges. Easy to cook, healthy Indian food! Engine Service Design. Better services. Happier customers. Better lives.